Everyone that is a part of the game of football is talking about how we better protect the players on the field. As we mentioned in a previous article the NFL, in collaboration with NFLPA, through their biomechanical experts have coordinated extensive laboratory research to evaluate which helmets best reduce the severity of impact. For the second consecutive year, the VICIS ZERO1 earned the top ranking for reducing impact severity in the NFL/NFLPA’s laboratory testing. Once again, the ZERO1’s revolutionary helmet technology outperformed every other football helmet on the market. Click here to see the results of the testing. VICIS further improved the ZERO1’s impact performance in the 2018 model while reducing both weight and cost. Elevate your game with the ZERO1. The VICIS ZERO1 is the Top-Ranked helmet for reducing impact severity for the second straight year, as named by the NFL/NFLPA. The 2018 VICIS ZERO1 outperforms all helmets tested. 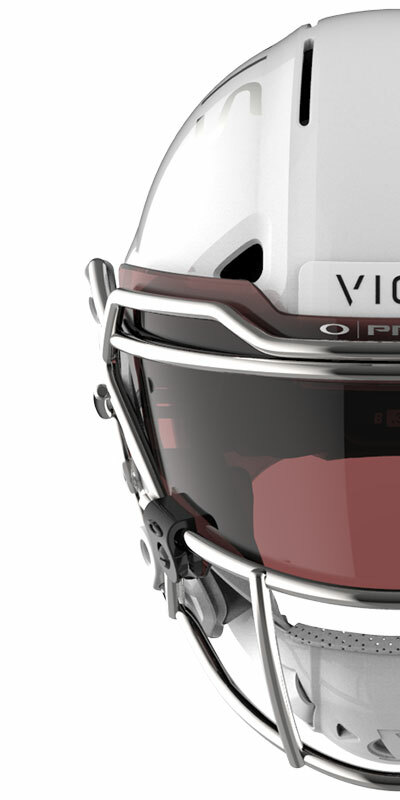 VICIS was the only company to submit a new or updated helmet model for testing in 2018, underscoring the companies continued leadership in technology and innovation. The 2018 ZERO1 is now lighter than many of the helmets used in NFL play. The NFL and NFLPA’s annual testing assesses the performance of all helmets in use in the NFL to determine their ability to best reduce the severity of head impacts, empowering athletes to make more informed decisions about their protective equipment. Learn more about the NFL and NFLPA’s testing here.